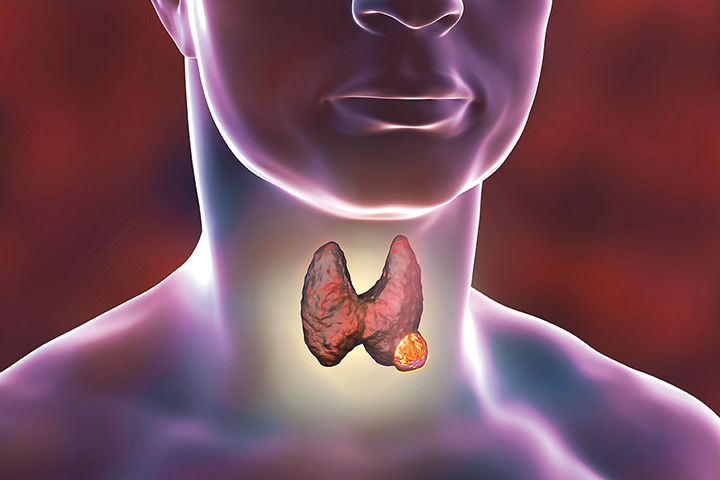 A study in a recent issue of Endocrine Reviews addresses the myriad controversies surrounding the treatment of low-risk differentiated thyroid cancer. While every facet of patient care has its own debates, education and more in-depth studies are key to finding common ground. Last August, a paper appeared in Endocrine Reviews aiming to address the controversies swirling around the management of low-risk differentiated thyroid cancer (DTC), since these controversies stem from differing views on how to handle these patients, which puts these patients at risk of being under- or over-treated. The paper, “Controversies in the Management of Low-Risk Differentiated Thyroid Cancer,” by Megan R. Haymart, MD, of the University of Michigan, et al., points out that the controversies extend across all aspects of management, from surgery to use of radioiodine to long-term surveillance, and prior work has shown that there is marked variation in the management of low-risk DTC. Preferences for treatment can vary from physician to physician and from patient to patient. The paper was an Editor’s Choice for that month, since bringing awareness to these controversies and then acting to mitigate them will reduce patient harm. According to Leonard Wartofsky, MD, MACP, professor of medicine at Georgetown University and editor-in-chief of Endocrine Reviews, these controversies have come to greater attention since the American Thyroid Association released its most recent guidelines, published last year in Thyroid. “There were changes, really, in every step of the way in the management of patients with thyroid nodules and thyroid cancer that were counter to past practice,” he says. Then there’s disagreement on when and whom to treat with radioactive iodine and thyroid hormone suppression. “Thyroid hormone suppression may not be necessary in our lowest risk patients,” Haymart says. “However, there is evidence that suppressive doses of thyroid hormone are still used for some patients with low-risk disease. Finally, since data on optimal long-term surveillance is sparse, optimal length and interval of long-term surveillance for low-risk differentiated thyroid cancer remains unknown. Things are starting to slowly smooth out, but that means more studies are needed. Haymart says that the new National Comprehensive Cancer Network and American Thyroid Association guidelines are a step in the right direction. “Dissemination of relevant study results is also important. Ultimately, physician and patient education are key,” she says. But all of these controversies point back to the importance of shared decision making and personalized medicine, spending more time with each patient to craft individualized treatment plans. “Treatment intensity should be tailored to the severity of the disease,” Haymart says. He says he has patients who insist on follow-up appointments to make sure there has been no recurrence, even though Wartofsky and his colleagues have assured these patients there is no sign of cancer left and they have indeed been cured. “We all differ in the degree of anxiety generated and how we deal with uncertainty,” he says. Haymart and her team have National Institutes of Health funding to study thyroid cancer treatment decision making. “With the use of survey studies linked to SEER data, we hope to obtain more information on how treatment decisions are being made and to identify the reasons for more versus less intensive treatment,” she says. Controversies surrounding low-risk differentiated thyroid cancer put patients at risk of being under- or over-treated. These controversies are found in every facet of care. Awareness of these controversies will reduce patient harm. Steps to addressing these controversies include more rigorous studies and physician and patient education. — Bagley is the senior editor of Endocrine News. He wrote about the latest developments in endocrine technology in the December issue.